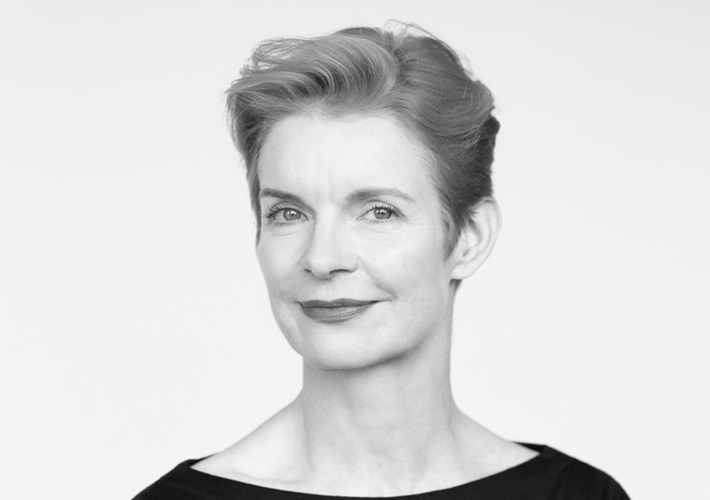 Sandy Powell is an alumna of Central Saint Martins and a multi award-winning Costume Designer who has won three Academy Awards, two BAFTA Awards for Best Costume Design and a Costume Designers Guild Award. In 1981 she withdrew from her degree to assist a costume designer who worked for a fringe theatre company called Rational Theatre, and also began a long collaboration with Lindsay Kemp designing for him in Italy and Spain. In 1984 when, after a spell as a costume designer on music videos, she moved into the film industry. Her break came when the film director and stage designer Derek Jarman appointed her costume designer on his film, Caravaggio (1986), starring Tilda Swinton and Sean Bean. To date, Powell has worked as Costume Designer on 49 films, including Orlando (1992);The Crying Game (1992); Interview with the Vampire (1994); Michael Collins (1996); The Wings of The Dove (1997); Hilary and Jackie (1998); The End of the Affair (1999); Gangs of New York (2002); Far From Heaven (2002); Sylvia (2003); The Aviator (2005); The Departed (2006); Shutter Island (2010) Hugo (2011) The Wolf of Wall Street (2013); Cinderella (2015); Carol (2015); and Mary Poppins Returns (2018). She has earned 76 award nominations and won 27 awards in her career, including Academy Awards for Shakespeare in Love (1998) and The Aviator (2004), a BAFTA Award for Velvet Goldmine (1998), and both an Academy Award and a BAFTA Award for The Young Victoria (2010). At the same time as enjoying a film career Powell had a 25 year collaboration with the choreographer Lea Anderson who she met on her first day at Central St Martins, designing costumes for her companies The Cholmondeleys and The Featherstonehaughs. Powell was appointed OBE in the 2011 New Year Honours list for her services to the film industry.